Cards are just boxes of WYSIWYGs, put anything you want in them! Each card is styles with a white background and can accommodate text, images, media, and more. Example of a card grid. 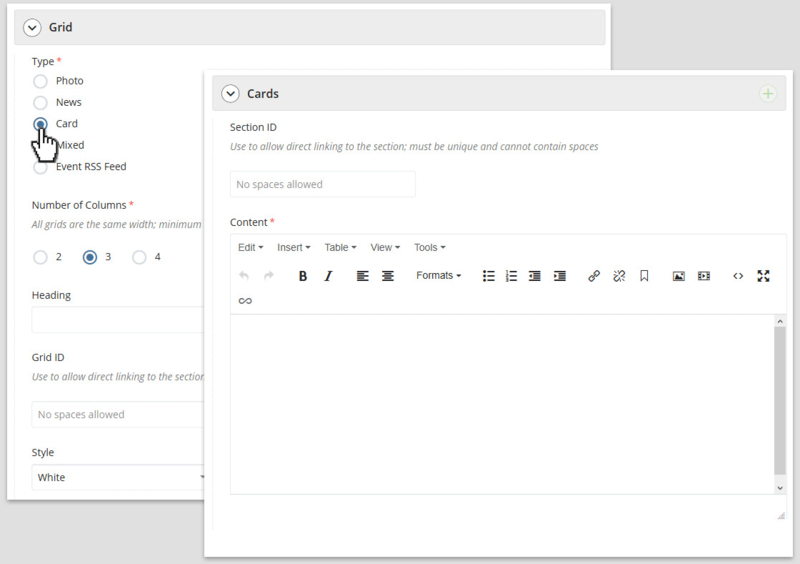 Card grid settings in page edit interface.